On a deathworld map I found a loot box that was located in front of a stationary weapon emplacement. Clicking on the loot box accomplished nothing, the loot box cannot be opened. I left that part of the map and came back later, the destroyed stationary weapon emplacement had been removed by the games clean-up routine, but the loot box was still inaccessible. This effect seems to be similar to the Invisble Obstacle bug with Stationary Weapon Emplacements. Although the emplacement is no longer visible, it still affects gameplay, not all of its features have been removed by the clean-up. It is too near to the column, it cannot be opened because there is no space left to display the content on the ground. Hello, thanks for the detailed report! 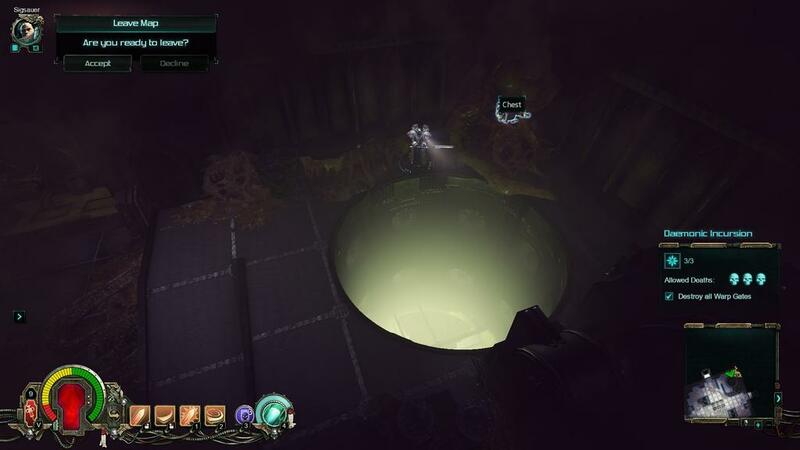 During an indoors cabal extermination Mission we came upon a chest that could not be opened. All chests seem to have a side from where they are opened, and this chest stood with the 'opening side' to the wall. 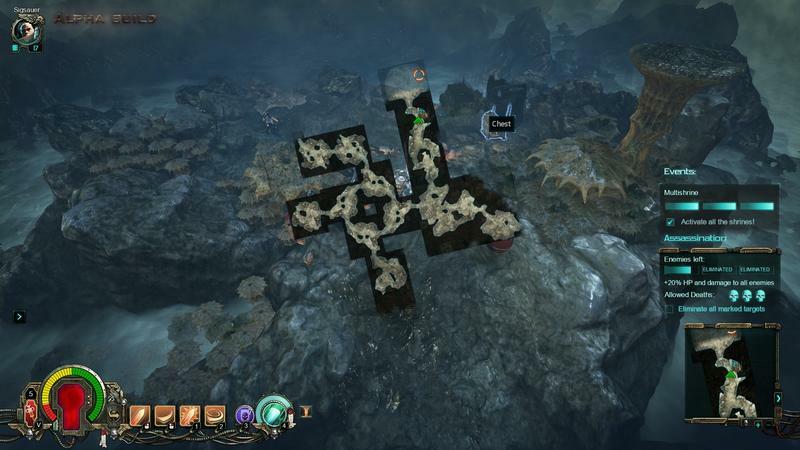 I have found the same issue on Nurgle maps as well.